Benjamin Franklin famously said “two things are certain, death and taxes”. That thought resonated well when the UAE and KSA recently implemented their tax system in the respective countries. Prior to that, both countries boasted of a tax-free living which drew a large crowd of professionals from areas where taxes had taken a large chunk of their income. The list is long for the forms of taxes, starting with income tax, property, consumption, tariff (trade), etc. While the tax code in the UAE and Saudi Arabia doesn’t apply to income and property taxes, all forms of taxes are levied to ultimately fund further governmental revenue. Where this policy gets really interesting is the VAT implementation on office spaces, meeting rooms and event spaces as a form of consumption. Most companies, if not all, should secure an office space during their corporate renewal and establishment process on the mainland or special economic zones (like a free zone). That means that the landlord would create a tenancy contract (Ejari in Dubai, Tawthiq in Abu Dhabi and their equivalent in Riyadh and Jeddah) that can be shown to a governmental entity as proof of linkage between the corporate entity and a commercial address. For example, if you rented a serviced office in Business Bay at 60,000 AED, you were previously paying just that amount. Now, with the implementation of the VAT code, an additional 5% would be applied to the rental amount. This amount is claimed by the landlord and submitted to the relevant tax authorities on a quarterly reporting basis. That additional 3,000 AED would have to come out of somewhere, either the landlord or the tenant. To offset that additional tax, there are marketing gimmicks surfacing now which say that “Buy/rent now, VAT on us” which allude to a form of discount. One could almost assume that, in practice, the VAT was already embedded in the amount, and they’re beginning to write off some of their profit margins. But the other reality is that VAT on office space will help correct the market as supply was beginning to offset demand. The second workspace that is beginning to see an impact is on meeting rooms and event spaces. 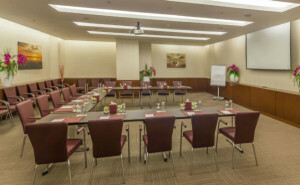 In the past, a corporate would request a meeting room or event space in Dubai or Abu Dhabi for 50 people for a seminar or workshop. They would request two coffee breaks and lunch in a classroom style seating. They would begin receiving quotes of 100 AED per person. Once the event is finalized, their bill would total 5,000 AED, with an additional 250AED as VAT. 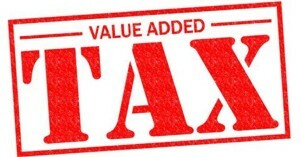 Since the VAT was previously not there, clients are beginning to realize that the effect of the VAT. The venue also realizes that it doesn’t want to decline a lead or prospect, so in most cases, the hotels and event spaces have written off the tax as their own expense. Most clients have seen the VAT already embedded within the bill instead of the separate line item. For better or worse, the VAT is an important element for today’s society. Fluidmeet believes that this consumption tax will help to realign the office space and event space markets to correct for any overconsumption in the past. While we have seen initial skepticism to the newly implemented tax, we are also beginning to see customers and prospects renew their faith in the system construct. Owing to the belief that more market efficiencies and productivities will be realized, could this be just the beginning of a new realities for the post oil markets? Previous PostWhat kind of food should be served at my event?